We have all seen a beautiful brother-sister connection. But there are movies which have also portrayed the best sister- sister connection. Haven’t we seen them sharing secrets between themselves? Haven’t we seen them play together? Even in terms of enjoying each other’s company, sisters are the best that we see to go even for shopping for each other. The arguments about clothes, earrings/necklace etc. and what not. But ofcourse the bond between the sisters is a very special one and unbreakable. 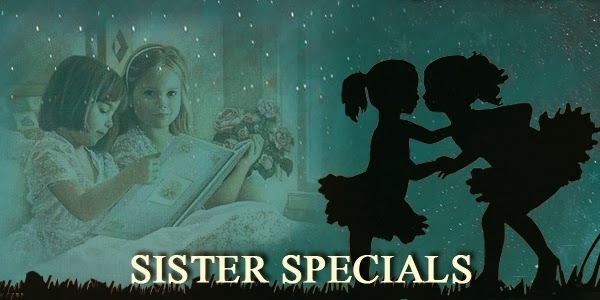 Here at raaga.com we take a look at the best songs and movies that have ‘Sisters’s’ as the focus. Well for any of us belonging to this era, we would definitely associate with the movie ‘Alaipayuthey’. The immense support for each other is well portrayed in the movie. A fun song is ofcourse ‘Yaaro Yaarodi’ where we see Shalini and Swarnamalya dancing beautifully too. Jothika on the other hand who has two other sisters in real life had done a good job with her role as the eldest of the three sisters in ‘Dum Dum Dum’ and well yes the song – ‘Thiilaalangadi’ makes it to Raaga’s hit list. The movies ‘Kanda naal muthal’ and ‘Kandukondein kandukondein’ also brought out a beautiful sister-sister scenario where we saw the elder/yunger sister totally being supportive of the other sister’s interests. This attribute, we can say is definitely something that happens very often in many families. Another wonderful song is ‘Bhoomi’ Suttri Varum where we see the wonderful actress bhavana making some sisterly cajoling with her tiny sister. The surroundings is one thing to be admired in this song. It sure does catch our attention. Moving ahead, we cannot end this list without mentioning the wonderful song ‘Thaiiyathakka’ from the movie Vettai where we see the diva’s of Kollywood Amala Paul and Sameer a Reddy dancing gracefully, sharing a beautiful rapport.